Note to self: Hold the vision and trust the process. 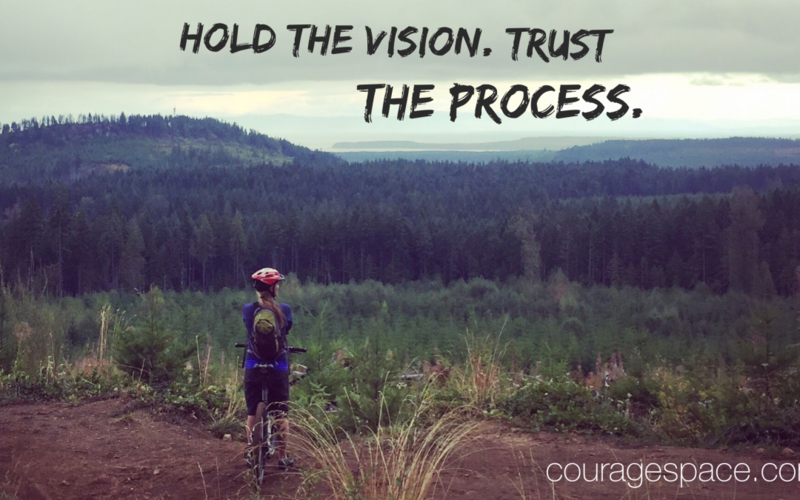 So often we get stuck in the process of achieving a goal or our vision. Fears come up, obstacles get in our way, we become our own obstacles, or we just lose our way thinking it’s too hard or doubting if it’s the right path. But you must trust the process, allow yourself to be vulnerable, all yourself to not know and not have control. Because it’s in these moments where the learning and growth is. And it’s in these moments when you take another step towards your vision. So don’t give up ok?